The more I am acquainted with the breadth and innovation of parallel cinema the more I am convinced that this is a film movement of equal ideological and aesthetic significance to the often celebrated European new waves including most influentially the Nouvelle Vague. However, by labelling the New Indian Cinema movement as parallel to that of the Hindi mainstream has somewhat distracted from the considerable authorial achievements. Some film makers have tended to be critical of the term parallel cinema and it is hard not to see why such a label seems a little of the mark when one seriously considers auteurs like Mani Kaul, Mrinal Sen, Kumar Shanani, Kamal Swaroop and Shyam Benegal were attempting to not only renegotiate the cultural agenda but reconstruct the discourse of cinema and in a way akin to that of the French New Wave. However unlike neo realism or the nouvelle vague that has a clearly identifiable time frame in which one can isolate a set of films that share a common aesthetic and ideological agenda, new Indian cinema, a movement started in the late sixties was still arguably producing new regenerative work and innovative auteurs late into the eighties and early nineties. An economic and political adjunct was central to the emergence and acceleration of new Indian cinema in the 70s yet if is true that most cinematic movements tend to be reacting against a cultural and cinematic orthodoxy then perhaps the political events of the Naxalite movement and the Indian emergency were two notable catalysts for the consolidation of such a reaction. The major problem when it comes to discussing a film movement is that an authorial approach tends to elevate the work of a select few at the expense of what becomes by default a group of marginalised directors. This of course is made doubly worse by the canonising of certain works and auteurs, thus making it even more problematic when it comes to formulating an adequate picture of a film movement like that of New Indian cinema. Arguably it is the work of Shyam Benegal, Govind Nihalani, Kumar Shahani, Mani Kaul and Mrinal Sen that continues to dominate popular discourse on the development of such a movement but the emergence of democratic criticism on the Internet mainly through blogs has attempted to offer what is a sustained revisionist and alternative analysis. Still no major or definitive work has been published on New Indian cinema – perhaps Rajadhyaksha & Willemen’s encyclopaedia on Indian cinema has come the closest with their expertly researched and intelligently written entries on many of the major film makers and key films. However, the encyclopaedia stops at 1992 and a revised edition has yet to be published. In his latest book Remapping European Art Cinema professor Mark Betz talks of the evolution of European art cinema as an institutional practice. One could argue that a similar phenomenon occurred with the emergence of state sponsored cinema during the late sixties. By now Mirza’s films seemed to a clear sympathy with the plight of the urban oppressed and the centrality of the youth trying to rise above their designated place in society would become a common motif. 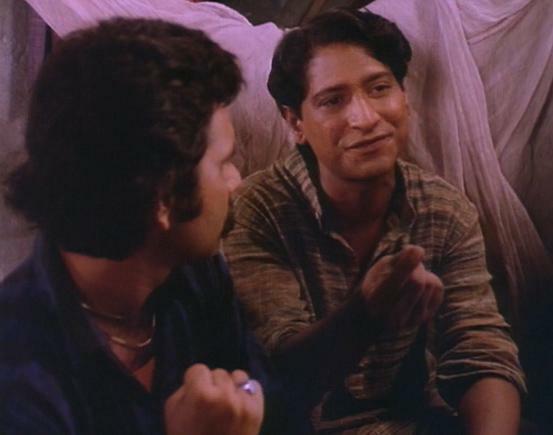 Bhisham Sahni, brother of celebrated actor Balraj Sahni made his acting debut in Mirza’s 1984 satire Mohan Joshi Haazir Ho! (A Summons for Mohan Joshi). A stinking rebuke of a corrupt judicial system, Mirza continued to experiment with Brechtian devices put this time focused his attention on the anxieties of the Indian middle class caught up in the tides of economic change. It was around about this time that Mirza along with Kundan Shah ventured into television, producing the critically acclaimed TV series Nukkad (Corner) which ran for 39 episodes and featured a cast made up of talented actors such as Pawan Malhotra. Nukkad’s focus on the lives of the Bombay youth would prove to be a fertile narrative for Mirza’s next film, Salim Langde Pe Mat Ro (Don’t Cry for Salim the Lame, 1989). 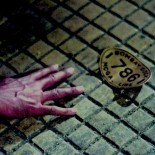 Mirza has returned to film making with Ek Tho Chance (2009), a portmanteau film on contemporary Mumbai. Most of Mirza’s key films are available on DVD as imports through various specialist websites but his extensive documentary work remains very much in the dark. His documentaries would certainly solidify a case for his importance as a key auteur in the evolution of new Indian cinema. Though I have said that many of his key films are available on DVD I did struggle to get hold of them, resorting on two occasions to an on-line website that streams specialist films including a handful of NFDC works. Salim Langde Pe Mat Ro (Don’t Cry for Salim the Lame, 1989) is Mirza’s most personal film as it attempts to get to grips with his own identity as a Muslim. Whilst both Salim Langde Pe Mat Ro and Naseem are films that can be interpreted as a reaction against the re emergence of Hindu fundamentalism, the pseudo documentary style makes the representation of the Muslim community altogether more unique and convincing when positioned next to the dominant representations perpetuated by mainstream Hindi cinema. The central character in Salim Langde Pe Mat Ro plays up to the archetype of the streetwise, lovable rogue. Gang culture is the only means by which an identity can be forged and subsequently used to resist the values of mainstream Bombay society. Salim, played with a riotously anarchic streak by Pawan Malhotra in his breakthrough role spends his time making ends meet by acting up the role of a local hoodlum. Made around the same time as the urban crime film Parinda (1989), Mirza’s sense of milieu is devoid of any kind of cinematic romanticism and the decision to shoot in the working class district of Mumbai foregrounds the iconography of the street to take on a wider symbol of class struggle. The referential nods to Pasolini’s Accattone (1961) makes the grimy yet tragic character of Salim appear as more than just a representation of the disaffected Muslim youth. Salim is a dreamer, struggling futilely to erase his scandalous acts of thievery through moral reform. His entire identity as a Muslim is a fragile one, shaped by wider social and political forces which due to his illiteracy appear as monolithically oppressive. Aslam, a possible suitor for Salim’s sister Anees, who works slavishly as a poorly paid proof reader for a newspaper attempts to educate Salim. Aslam argues that communalism and the rapidly developing problem of urban ghettos benefits only the elite and those in power, underlining the discord between Muslims and Hindus will remain perpetual as long as the oppressed harbour their silence. At home, the economic and social situation for Salim is despairing given the tragic death of his older brother Javed in an accident at work has left the family in a state of trauma. With his father having been made unemployed, his mother works tirelessly as a part time seamstress whilst his sister dreams of getting married to Aslam. …but like Accatone it is only in death that lies some sense of salvation for poor Salim. The call for tolerance, understanding and religious harmony is advocated strongly through the sequence in which a film maker screens a documentary on the political realities of communalism. Ethnic violence was quite high at the time of the film’s release and with the cataclysmic events of Ayodhya only a few years away, the politics of nationalism that lurk sinisterly in the background seem to make a direct ideological correlation between Salim’s poverty and the endemic religious hatred propagated by the state. Salim does choose to reform at the end, taking up a legitimate job and arranging his sister’s wedding, but his death that comes at the hands of an old enemy bleakly suggests that the Muslim community in Bombay exists precociously on the precipice of life and death. This entry was posted on August 22, 2010 by Omar Ahmed in Auteur, Indian CInema, Parallel Cinema, Political Cinema.